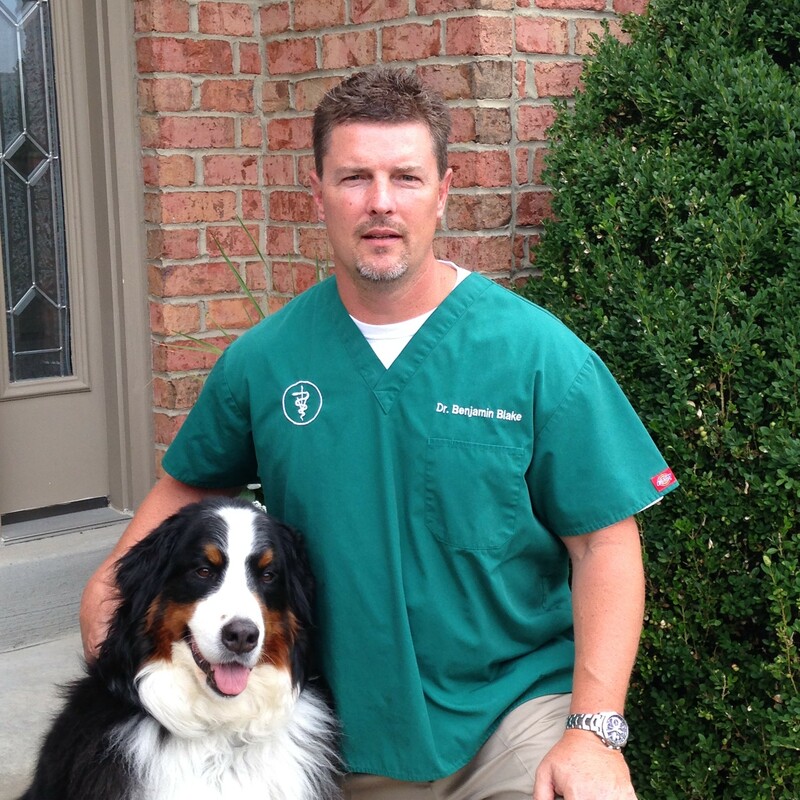 Dr. Blake graduated from Bucknell University in 1991 with a dual degree in biology and psychology, then attended the Virginia-Maryland College of Veterinary Medicine, earning his DVM in 1995. 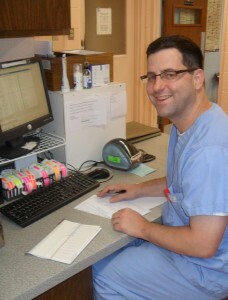 He was born and raised near Washington, DC and spent several years practicing veterinary medicine in Arlington, VA. The desire to be closer to family brought Dr. Blake and his wife, Jennifer, back to Pittsburgh with their three children. He enjoys coaching in several local youth sports associations and pursuing outdoor family activities like golf, softball, skiing, and backpacking. He has an active role in the management of the practice and is excited to contribute his experience towards shaping the future direction of Wexford Veterinary Hospital. Dr. Ted Vaughan is originally from Livingston, Alabama. He graduated from Auburn University with a degree in Microbiology and went on to graduate from Auburn University College of Veterinary Medicine in 2003. The desire to be closer to family brought Dr. Vaughan and his wife, Rachel, up north to Pittsburgh PA. Dr. Vaughan joined the team at Wexford Veterinary Hospital in 2006 and over the years, has become a proud practice owner. Dr. Vaughan bleeds orange and blue for Auburn University, but enjoys following Pittsburgh sports, spending time with his family (including 3 cats and 2 dogs), being active outdoors, leisure reading, and watching movies. 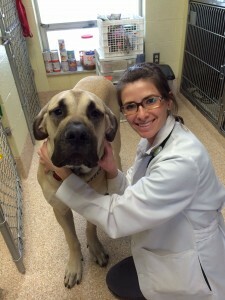 Dr. Ewald is from Connecticut but relocated to Pittsburgh after completing her training at the University of Pennsylvania School of Veterinary Medicine in 2006. Dr. Ewald’s professional interests as a veterinarian and practice owner include small animal medicine, surgery, neurology and animal behavior. Dr. Ewald is married and enjoys horseback riding, hiking, snow skiing, camping, watching movies, and spending time with her four legged family members. 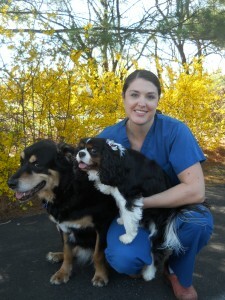 Dr. Ewald is excited to share her passion of veterinary medicine with her patients and clients. Dr. Lauren Sigg graduated from Penn State University with her BS in Animal BioScience and then attended Auburn University College of Veterinary Medicine. Following her graduation in May 2008, Dr. Sigg and her husband, Eric, returned to Pennsylvania to be close to family. Her hobbies include hiking, running, biking, attending Pittsburgh sporting events, and spending time with family, her furry children (Barney, Rhiannon, Stevie Nicks, Fleetwood Mac, Tippy Canoe and Angel) and friends. Excited about taking on the role of practice owner, her professional interests include surgery, radiology/ultra-sonography, internal medicine and dentistry. In 2012, Dr. Sigg completed The Pittsburgh Marathon for the first time! Dr. Maria Santabene is originally from Erie, Pennsylvania. She obtained her BS in Biology from Allegheny College followed by her VMD from the University of Pennsylvania in 2010. She completed an internship in small animal medicine and surgery in 2011 and went on to practice as an emergency and primary care veterinarian for two years in Pittsburgh, and one year in Madison, WI. She joined the WVH team in July 2014 and is excited to be back in western PA, living closer to friends and family. Her special interests include preventive medicine, dermatology, internal medicine, emergency medicine, and surgery. In her spare time, Dr. Santabene enjoys spending time with her husband, Bill, traveling, the outdoors, cooking, gardening, trying out new restaurants, and watching Pittsburgh Penguins hockey! Dr. Jena Ahr grew up in Frederick, Maryland and attended the University of Arizona, where she received her bachelor’s degree in Antropology. Dr. Ahr moved to Baton Rouge, Louisiana in 2001 and received a Doctorate in Veterinary Medicine in 2006. 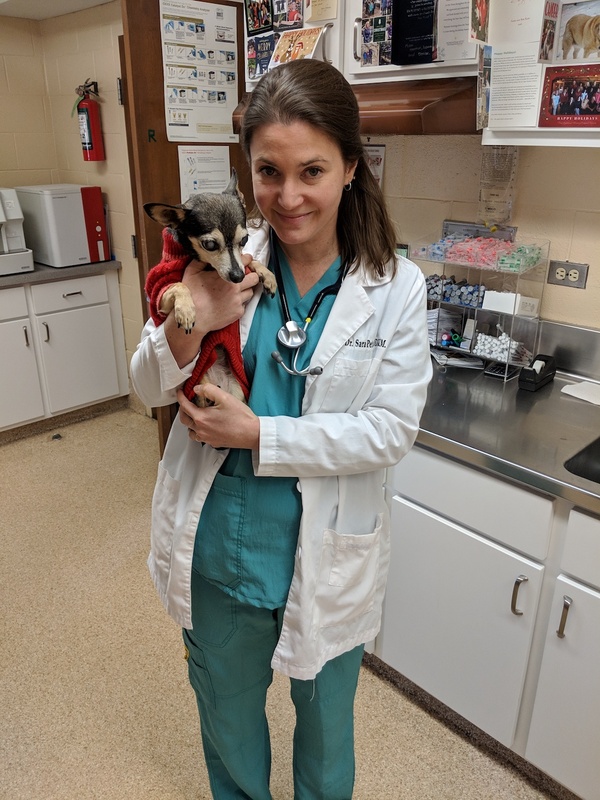 After graduation, Dr. Ahr worked in a high volume emergency practice for one year before accepting a position as an Associate at a small animal practice for 9 years. In 2016, she decided to move back to the Northeast to be closer to friends and family. She enjoys all aspects of Veterinary Medicine, with a special interest in emergency and internal medicine. In her free time, Dr. Jena enjoys traveling, antiquing, and spending time with her husband Case, son Martin, and two dogs, Cinder and Ella. Dr. Sara Petras grew up in Wexford, PA and graduated from North Allegheny High School in 2002. Upon graduating from the University of Georgia in 2006, she moved to Budapest, Hungary where she graduated from Szent Istvan Faculty of Veterinary Medicine in 2015. Wanting a change after graduation, Dr. Petras and her now husband, Balazs, moved back home with their 3 dogs Ellie, Dexter, and Mimi. 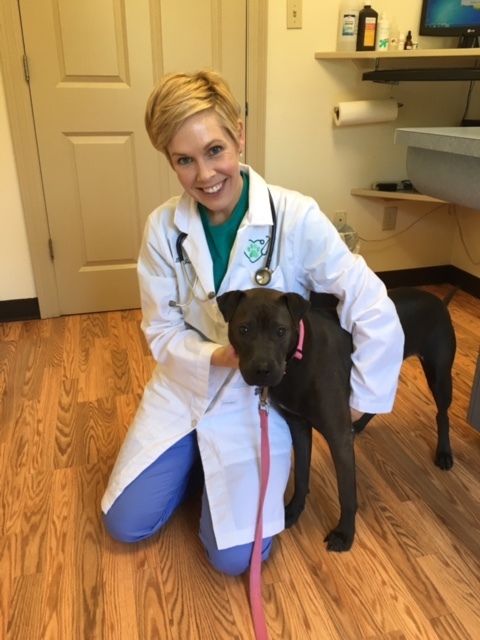 Dr. Petras worked as an Associate Veterinarian in East Pittsburgh prior to joining the WVH team in March of 2018. 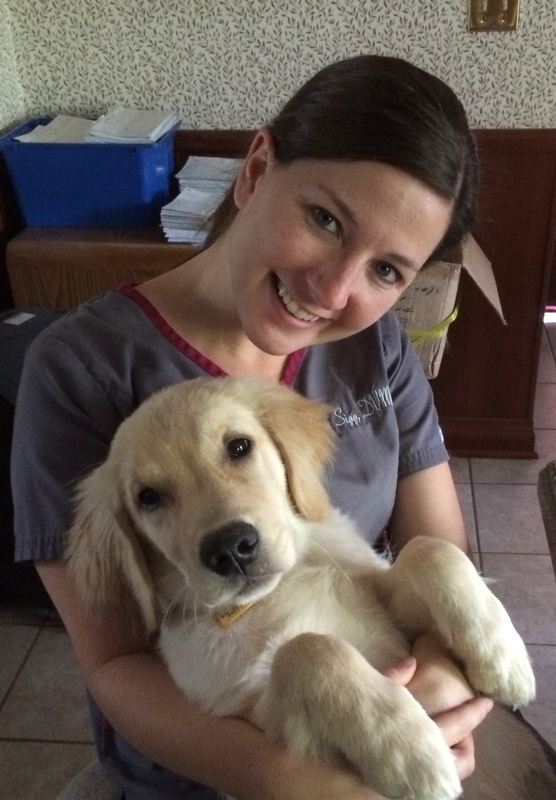 She is excited to have moved to a larger practice and looks forward to expanding her knowledge in all things Veterinary Medicine!